Increase your visibility in mobile and local search, and drive more foot traffic with accurate, consistent business listings across the web. See how your business is listed online. "Moz Local makes your life easier"
The cost is so low for everything it does. All I have to do is minimal monitoring and Moz Local does the rest. The reporting is great, too. Great time saver for those tasks I don't like to do anyway! It's such an easy interface / dashboard that is suitable for customer-facing presentations. If there are any errors, Moz Local simply tells you what the problems are and you don't have to manage all the separate directories individually. The add on option for Search Insights is another great, low-cost way to measure Visibility, Performance, and Reputation, too. This is crucial for small local business, too, especially if they need help with branding or any reputation management issues. There really isn't anything I don't like. Just keep adding directories! Moz local is super easy to use and the cost is well worth all the updates and relationship management it comes with. It even comes with a cool interface / dashboard that can be customer facing even. The reporting included with each location is another value add for your clients, too. Solving outsourcing directories to better utilize my time, increase NAP local listing accuracy across the web, improve local search engine results. It's also another channel we can use to generate revenue for us and the customer alike. We have definitely noticed increased visibility in local SERPS, which has led to more impressions, clicks, and sales. "Affordable and easy to use Local SEO tool"
There are so many directories that you have to align to get good local SEO results, and MOZ local does most of the work for you. It is a much more inexpensive option than Yext (which seems to have some sort of unholy alliance going on with some directories like SuperPages) and either automatically updates listings for your or tells you where you need to establish/update an account. MOZ Local also offers an option to push changes directly to Foursquare and Google My Business, which is useful. Some of the updates take an extremely long period of time to be made via MOZ Local. Sometimes, I'd get impatient and do them myself. Some never seem to get updated, but overall, it does a pretty good job. Also, it doesn't always do the best job in identifying duplicate accounts. Their customer service is also not great. If you're confused in using it, you may get lost and stay lost. There are really only two options - this and Yext. For small biz. MOZ is much more affordable, while Yext seems to have more coverage. There are a lot of directories that search engines use to offer the right location and contact information for brick and mortar businesses. To align them all individually is time consuming and some seem impossible without paying Yext. this tool helps you see the important directories, understand what is missing or inaccurate, and either updates it for your or points you in the right direction. I've seen a lot of local SEO benefits for myself and for clients. "One View for all Citation and Directory Needs"
I have our Moz Listing bookmarked on my toolbar so I can check's our directory listings at all times. I can see if anything needs to be updated manually while Moz updates our information automatically when it see something wrong. I do wish the integration between MozLocal and MozPro were more seamless. This product is great and will make sure you don't have incorrect listings wondering around the web. Even if you think you don't, you can check and edit those listings ar no cost. It's a free service and if you would like a more automated approach, the cost to have Moz keep an eye on everything is extremely affordable. We are able to really dig into our local search results. We are able to see where our SEO efforts were boosted once we completed directory submissions. We also were able to see places our listing was incorrect. Since those places are of high authority according to Google and Moz, we were able to update and create our consistent citation across the web. What Local SEO solution do you use? "Great citation tool for SEO beginners"
It's incredibly easy to use and fairly fast in the submission process. Overall, it's a great tool for citation beginners. It seems like some of the submissions will simply not work with the directories they manage. The connection to Neustar Localeze, for example, is consistently broken and MOZ Local does not offer anything other than topical replies when asking for a fix. Do not rely on one tool alone, use many tools and sources. There's no silver bullet to how your citations management should be completed - it's a mix of everything that will win in the end. MOZ themselves will also tell you this. Time savings for directory submissions plus data accuracy on the web. I love that I can correct all my business listings and track them in one place. Major time saver for me. Getting listings submitted to some services take a long time months even. But it's still better than having to do it myself. Moz local really helps with the many disparate listings a business can potentially have. With very little effort you can take control of the quality of your listing across the internet, making sure your customers are finding the correct contact and location informations about your company. We have found this tool to be very helpful and time saving. Moz Local has allowed us to spend more time working on other areas of optimization rather than spending so much time sifting through online directories and listings. The price is very affordable considering the product and time that is saved by using it. Solved a lot of duplicate listings from old office addresses that were still floating around on the web. The best part of Moz Local is being able to clean up your local NAP information across the many, many local sites across the Internet. The task is virtually impossible without using a local aggregate. Moz Local needs to provide better training on how to use the tool. There are many aspects that are confusing and their help guide provides very little answers. I would also like some sort of reporting. It's fairly cheap and quick to get your correct information out. It doesn't do much more than that. The benefits are having the correct and up-t-date store information posted across the internet. We've also found many duplicate or fake pages that we did not know about and can work towards getting them removed. "Visually good - its like voodoo"
I liked the fact you can see instantly the score of your local SEO it gives you a percentage and then what you need to get all your ducks lined up to get a good local score. Its very visual and it does help you to standardise your brand. You can also manage multiple clients the system and help them achieve better local listings. Moz Local has good things to offer, is fairly reliable, and works well on the free model. I like the DA bar in the bookmarks section of Chrome - a must have for any website analysis. Paywall is frustrating - you have to pay a bit to get a lot. You can get more for a lack of prohibitive cost elsewhere on Moz. As stated, the free tools Moz makes available can serve their purposes regardless of geographic (re: local) concentration. As for a local concentration, Moz themselves have even recommended some tools that I would deem superior and cost effective for today's startup. Tools as simple as spreadsheets (Local Competitive Audit Spreadsheet, for instance) or Chrome extensions or the more cumbersome packages like Google Search Console can aide and abet your search engine optimisation goals. Having said that, startups and entrepreneurs trying to get their ship off the ground would do well to give this a go. Whatever you can do to automate your presence (as MOZ Local functionalities like Google My Business API integration and Customer Success Manager do allow) is a big help in these tender early days of your soon-to-be-thriving company, and MOZ Local can open up new avenues and generate conversations in your locality whilst your busy trying to build something beyond a concept and into a reality. We're mostly trying to understand our presence on local scale online. We're not really actioning anything off of it. "Business listings and basic SEO info made easy with Moz Local." Moz Local saved us big time when we moved to a new location. I had tons of trouble updating our address and other contact number across a wide range of places, but Moz made it easy to push all relevant information to places like Google, Yelp. Yahoo, etc. It's awesome to know that customers are finding the right information online every time. With Moz's pricing and yearly contract, it's clear that if you use them to update contact info across various web spaces, it will disappear if you move away from using Moz. In short, seems like we're pretty locked in. Not a problem since Moz works well for us, but something to keep in mind. Use this if you can't figure out how to fix contact information on your own across multiple platforms. Solved a major problem of getting contact info up to date in places I could not access. Huge win in that regard. "Moz Local Is Amazing "
We joined 7 business areas to test it out. To keep the test legit, we're not doing some other work on them. Following 5 weeks in the program all postings enhanced, yet not all sites and databases made strides. New postings were made and information was included and adjusted existing profiles. Moz Local is fantastic when trying to get accurate and complete syndication through Localeze. It also beats the nightmare that is Yahoo Local, justifies the Moz Local price. "Moz Local has helped my business tremendously!" It is easy to use, you basically just input all of your correct information and it puts it out to most of the major directories. It basically assists you in ranking better in local search results for a very reasonable price, and not much work is involved. Nothing really, except that the changes and improvements do take some time to notice. If you sign up with Moz Local, your Local SEO isn't going to improve over night, but it will certainly improve over 6 months to a year. I would highly recommend it to anyone owning a business that wants to get better local search results. It has saved me many hours of inputting our NAP on sites. It has done all this for me, and continues to do so. Moz Local takes the complex world of SEO and makes it (relatively) simple and convenient. An all-in-one hub for you to manage your business locations. The concept is great -- anyone who has hunted down their business location all over the internet will know how frustrating it is to do all of the legwork yourself. There isn't much that I dislike, but I have had trouble getting my location to 100% accuracy. I've greatly improved it, but haven't reached "perfection." Ask their customer service anything. They're so helpful. Publishing consistent info on your business across the web. Searching out all places it's listed. Plenty of SEO training and resources. "Very easy way to cover all your basis in Local SEO"
I liked how it was visually simple to go through your results once you've ran a site in the system. It's simple to see where you are strong and where you are lacking. And it's very easy to notice any major issues that might be hurting your local results. I noticed sometimes, not always, but when I would go fix an issue or a local citation, I would come back after I've cleaned up a few, and there didn't seem to be any changes in the results. Maybe there is just a delay in the crawling, or maybe a delay in how fast the local listing will update their info, but I found that difficult, because you would have to remember to come back a few days or a week later to check on your progress. I used Moz Local as a solid starting point for cleaning up and optimizing local presence. Like any online Saas, especially anything related to the dynamic SEO world, the data provided on these should be taken with a grain of salt. Always have at least two software's giving you info, so that you can take those into consideration and make the best call yourself. I was working with a real estate agent as a client to clean up her local citations and boost her search presence. They had a bunch fo listings but were wildly inconsistent and missing a lot. Moz Local made it super streamline to start dealing with the issues and filling in the holes where they were missing quality listings. "Multiple auto renews despite cancelling! Updated - More unauthorized charges!" From "Lisa" via chat support "We are certainly happy to refund listing renewals within 2 weeks of the renewal. To do that, I would need you to cancel your listing for..."
OMG - seriously? 2 weeks to get a refund for a listing I HAD previously cancelled and Moz again charged me? "Hello, David from Moz Local here. I'm sorry to have to inform you we have accidentally renewed one or more Moz Local listings you had set to not auto-renew at the end of the term for listings set to renew in November and December. We will be submitting refunds for the listings and making sure they are canceled to prevent future charges. If you wish to keep your listing active, please let me know by end of the day Wednesday December 21st. We will start processing the cancelations and refunds on Thursday December 22nd. I apologize for the trouble this has caused. If you have any questions at all, please do let me know." Now I don't know how many more listings they unauthorized auto renew - appears to be at least 4 maybe 5 now. My advice - DO NOT EVER, EVER GIVE THEM YOU CREDIT CARD! 1) WAY too long for listings to update...if they ever do! 2) Auto renewals despite cancellations. 3) After contacting support about unauthorized renews and requesting NONE of my listings be auto renewed several months later ANOTHER UNAUTHORIZED auto renewal. Now I waste more time getting my money back. 4) I do not TRUST this company at all. Do NOT give they your Credit Card - I have experienced multiple unauthorized changes over multiple months. The excuse is always "Computer glitch". Trying to provide Local SEO for my clients. "Moz Local Saved my Clients!" I love how simple Moz Local is to use! My absolute favorite part is that you can update your company's information on ONE platform and it changes it across the board. No more logging in to every individual platform and changing information one hundred times. Wish it connects to more listing accounts. I have a few niche clients I manage and Moz Local, for now, only connects to some of the main listings like yelp, Google, etc. My clients would need some more specific platforms added to be fully functional. If you have a multi-location business, a business that's been around for years, or recently changed locations, consider using Moz Local. This will save you a headache of trying to update your listing in one hundred different spots. A client of mine changed hours, website, and phone number. It was a nightmare to try updating this across the web. Being able to update from Moz Local allowed me to update information across the board without having to track down every incorrect listing. "If you're thinking local marketing, think Moz"
It's extremely easy to use and navigate and it doesn't take much to learn the platform. Sometimes it is MUCH more difficult than it seems... it's not as easy as 'updating a citation' and presto everything is good to go. Not only that, but social media and citations change all of the time so you've got to make sure you're up to date on things. Well worth the effort... if you doubt it, the annual fee isn't all that much for the value you're getting! Give it a try. Management of multiple social media and digital citation platforms at once, all in one place. "Good analytics but hesitant to use for listing cleanup"
Moz local is a great tool to use for insights on how your business is listed across the Internet. You can pull reports on duplicates, inconsistencies, and more. when setting up a business for listing distribution and clean up, our agency has been hesitant to move forward in the future. We've use multiple clients ( all local businesses) that one analog then say things are cleaned up, there's no duplicates, etc. but when we do our own digging and look on specific sites this is not the case. We then have to reach out to support and work through getting the information cleaned up which seems counterproductive. Businesses that have lots of locations, especially over 10, that need citation cleanup or citation building. Fairly low fee and easy management of some of the most important directory listings. Once it's setup Moz does the rest for you and you can track the progress and see improvements in your reach and presence. I really wish that there were more directories available in this tool. Nobody seems to have a universal solution, but MOZ is a guaranteed necessity. Just wish they had a bigger reach. Get it up and running. Decide on how you want your listing to look ahead of time and keep it uniform everywhere else. Started a new company a while back and needed to get all my directories consistent and verified. I've seen online leads jump over the last year and a half I've used this service. Really helps organic ranking and improves overall branding and presence. "Did not work for me." The UI looks great and I trusted the Moz name. Updates take weeks/months and my citations weren't being updated, yet would show being correct in the UI. For some, I could not find my citation organically online at all (hotfrog, botw, bing), yet showed 100% complete. I ended up emailing support and got what I felt was the runaround. I feel like they are selling something they are unable to deliver on. I'm not convinced Moz Local works and since they won't provide a refund, I'm going to see if I can fight it with my credit card. I'm going to look at Bright Local next. "Mejoras en los indicadores de SEO local "
La posibilidad de validar tu ubicación en Google maps desde Google mi negocio. La cantidad de errores que genera para algunas ubicaciones. Muchas veces intentamos utilizar la herramienta y no permite realizar pesquisas para algunas ubicaciones. "It works... as far as I can tell." Moz Local saves a ton of time with keeping our business information accurate and up to date across the myriad of web listings. It also identifies potential inconsistencies, duplicates, and other errors. Correcting listings one-by-one would take ages (I know, I tried), and in some cases cost a pretty penny. This is a simple and affordable solution to monitor how our business info shows up across the web. I really appreciate that it actively crawls and will report issues that might come up. I would otherwise have no way of knowing if and when bad info is being distributed through other channels. The interface isn't always intuitive or responsive - or maybe its just that it is overly simplistic. I might click on something, thinking I'm resolving a problem, but nothing happens... at least not as far as I can tell. I like to be a little more hands-on. Moz Local will show me a list of potential duplicates and as if I want to "Ignore" or "Close" (and submit a removal request, but maybe the solution is somewhere in between. I wish I could jump straight to the issue and correct the errors manually instead of sitting back and hoping that the right information is being distributed. Our company changed its name several years ago, and so began a long, drawn out battle to update our information across the Internet. Long story short, it was a mess. I tried to handle most of the updates manually, but probably ended up creating more problems for myself. I wish I had just started with Moz. After signing up, most of the listing issues we resolved in a few months. "Awesome Results For A Great Price"
It's so easy to get setup and provides great reports for my clients that I can send them on a weekly basis. The results that it gets are great and I am able to confidently set up a client of mine and know that they are going to be happy with the results that this software gets. It makes me look great and they don't even know that I am having it all automated and getting it done for me. Not knowing when things update when I get listings made. Also I'm not a huge fan that there isn't a "report mode" that gets rid of things like "Edit" or the potential bar. I always get into the code and remove those when sending screenshots to clients. I feel like this is just a little bit of a lack of control and the way that data gets presented sometimes. For example I can't get an address of a client of mine to show up as 780 S 360 E, it shows up as 780 360 E. This could easily be my fault with Google but I just am unsure how to change it and would like just a little bit more help with getting things like that fixed. If you're looking to do this for you or your client just set it up! It's incredibly affordable and gets great results. I'm able to very quickly setup a new client and automatically have Moz Local do the work for me. All I have to take care of after that is sending the reports to my clients. "Moz Local - A Good Tool at an Good Price." Saves time and resource in identifying listing and making sure they where consistent. We are able to make sure their brand, contact information & overall message are consistent on different directories all in one dashboard. If your client makes changes , you can push that out from one dashboard instead of logging into hundreds. Great Solution. Needs more explanation on specifics topics and I find that results are often inconsistent when it comes to submitting sites. Some information will get through to sites right away and it will show that they are approved, but other sites will be stuck for a long period of time. I would like so feedback on what is happening to the submissions. It saves time and resource hunting down local listings and making sure they are accurate. Its quick and efficient so time and money is saved - to works as well! "Moz Local - A Good Tool at an Affordable Price"
I use Moz Local to push out consistent business information for clients to improve their visibility online. Moz Local consolidates a lot of online accounts in one place, and shows me where there are duplicates or inconsistencies. It's affordable for clients. Plus, I can use one dashboard to manage multiple clients. The connection with Bing has been down a lot lately. I'm told it's a problem with the API with Bing, and all the companies like Moz Local are experiencing the same problem. There are also messages, like "We are temporarily unable to connect" with a variety of accounts. When I want to send a client a screenshot to show the progress I'm making, and the program cannot connect to the accounts so the stats look low, that's frustrating. I wish it were easier to contact the various data aggregators to manually remove duplicates and clean up inconsistent accounts. That still takes a lot of effort, but at least Moz Local shows them to me conveniently. Moz Local does good work for you, but be prepared to fill in the gaps. You still have to have solid business information with well-written texts and compelling images to flesh out accounts. For existing businesses, you also need to plan on time to manually contact data aggregators to remove duplicates and clean up inconsistencies. That work takes longer than you might think! For brand new clients, Moz Local is a time saving way to push out identical information to online data aggregators and directories. It increases Google juice because the data is consistent. I can also help clients remove duplicates and clean up inconsistencies in accounts because Moz Local shows me problem accounts. Cleaning those up really does help improve search result placement for clients. "Easy to use and cost effective"
I like that it is easy to use and understand. The dashboard is helpful because I can see all of my clients information at the same time. . I don't like how you have to pay extra if you want to get the insights. It seems like it should all be includes in one package. I also don't like how this solution is unavailable to people who don't have a street address. We should be able to just use State, Zip Code and City. Users must have a street address to use this product. It costs extra to get detailed insights. But otherwise, it is a great tool to get your started with local listing management. I am using this platform for many different clients. All of which were looking for a way to improve the local listing optimization. I've realized that it saves to much time using a tool like this than trying to do it manually. "Great product and VERY affordable"
Once you figure out how to best add your data on the web, it is an amazing product that helps push your data to multiple sites. I am using the basic program of $7 per month for (2) website and am about to do it for a 3rd site. It is a great product that keeps our page relevant and on the web. We add the content and SEO and go from there. The only thing I dislike is the fact that it takes some of their aggregate partners so long to respond. Not a Moz issue, but for instance City Data says they take up to 6 months to make the changes. I wish Moz had a way to make it easier so that changes, like to phone numbers, are updated much sooner than 6 months later. It is VERY affordable to use Moz Local as compared to other products like YEXT. Having access to their webinars and videos from Rand Fishkin is also priceless. SEO was hard for us when we first started and now it is much easier and we have Moz local to thank for it! People need to be able to find us online. They search online at Google first. This helps us get recognized as a real, local business. With the help of reviews and more local content, we are able to get to the first page of Google and the annoying calls from people trying to get us to the 1st page have almost gone away. "Great Results and Time Saved"
I like having a dashboard at my fingertips where I get all of the updated information about all of our locations. I'm able to quickly tell what we need to fix or improve. The best part is that we get to witness those improvements on the charts, which is fun. The dashboard can be confusing for a new user as there isn't really a step-by-step process that leads you in how to get set up. You do have to read the FAQ and do some investigation. A quick-start guide or step-by-step setup wizard with annotations would be extremely helpful. I highly recommend MOZ Local. I have used the tool not only for my company but for many outside clients, and 100% of the time MOZ Local has achieved a positive ROI. The service is well priced and affordable, and the time saved is huge. It would have taken me vast amounts of time to create directory listings in all of the directories that MOZ covers with a simple submission. I do recommend that you invest some time (an hour or two) reading the FAQs to get a better understanding of what you need to do to start and keep your listings maintained. Our eight branch locations are seeing not only improved search visibility, but we're also beating out competitors that are not so consistently listed across directories and data aggregators. "Great product with a simple interface but minimal features for measurement with the stock plan"
Moz local has allowed me to simplify location management through the application. Some areas take a bit of getting used to but overall, very intuitive to use. It saved me hours of work by allowing me to manage listings from one central location. The interface seems to not connect with some listing locations requiring you to go to those sites to update or access an account. I wish it could all be done through the Moz Local interface. That would save a lot more time. I only wish that analytics were not an add-on. I also wish i could see the referral sources for the traffic that is received by location pages. I know I can get most of that in Google but to have an all in one solution for all digital media... now that would be perfect. Through streamlining location management, we have been able to find erroneous listings and potential referral sources for future business. "Easier than managing listings manually"
It's great because we can see all of our listings in one place. This is huge for us because with nearly 30 locations, trying to do that manually for all of the directories that Moz Local submits to would be impossible without hiring extra staff. With that in mind, this has saved us a ton of money. And it works well too. It is great to have everything updated and consistent--a must for good SEO--across all available directories. It seems crazy that these directories are still so important these days but they are and tools like Moz Local are really the only way to manage them. It is a bit confusing to get started. Perhaps it is too simple if that could be a thing--it made me wonder if I had done everything correctly. I wonder if a quick tutorial or video would be helpful for new users. But in the end, it was an outside agency that did most of our work and they are well versed in Moz Local so it wasn't really a problem. If you have a couple of locations, you can probably manage this yourself, but I would recommend hiring an agency to help if you have a lot of locations. But that's more of a recommendation for general marketing and not so much specifically for Moz Local. Moz Local makes publishing to directories easier. I've looked at other services before but this one seemed the least sketchy and most professional. I'm glad that our marketing agency suggested this as what we use. "Great tool for managing and updating all your listing in one convenient and easy hub"
Simple and self-explanatory UI where you can manage all your listings from one dashboard and see where any inconsistencies lay. Moz Local can points out and show you where phone numbers or addresses are wrong. even If you are unaware that you have some already existing listings -auto generated- across the internet. claiming your foursquare listings is simple. However claiming other listings, can be a bit more hustle (like Yellowpages, Superpages). For example, if you have a listing on Yellowpages that has the wrong phone number, Moz Local will point it out as an inconsistency, but you have to manually go into Yellowpages and correct that phone number. This can be difficult if your client didn’t create the Yellowpages listing. This creates an extra step where you have to claim the listing on their behalf before you can update the phone number. The price needs some revision, since they simply points out the problems you have and you still have to manually fix it in many cases. Another example is finding an auto generated facebook page of your listing, then contacting fb to claim it or fixing it is another headache that in my opinion should be handled by Moz. knowing your local search status has a valuable benefit in directing your SEO efforts. Trying to figure out the current status on local search, having local Moz speeds up the process a bit and may show you some never expected old / wrong info. "Moz Local helped improve our business presence online"
The ability to track our online presence across a wide variety of sites and engines- all from a single page. Efficient and fairly user friendly. Relatively low price for what you get out of it. Ability to upload photos of your business to a wide variety of sites with a single click is also pretty great. Excellent option for a new business. Moz seems to take a long time to update listings, and sometimes it doesn't seem to get the updated listings sent across the various platforms. If there was a better tool to show how the updating process was going that would be super helpful. There are a wide variety of search engines and sites to update your business on- and Moz speeds up that process greatly. It is not perfect- but it helped make our online presence a lot more consistent, which helps drive new customers to our shop. For the price it is definitely worth it for the first year at least. I am not sure if we will renew given that our presence is now established and accurate online- but for that initial setup I would highly recommend it. Limited time to manage online presence- and wanting to improve our online search results. Our business went from not being listed on the front page for coffee in our area to being the #1 search result for our category, and Moz was a part of that success. "I manage the web presence of several companies as a SEO/copywriter at a small agency." I like that it gives me a bit more visibility into a clients citation situation. I feel like the marketing behind it promises a more automated process than the product delivers. It's more of a diagnostic tool than a citation changing tool. Also, so far I haven't seen a lot of evidence that citations on Moz Local partner sites (e.g. FourSquare, etc), really do get picked up much by other sites to spread citations throughout the internet. The product doesn't do a good enough job showing that this is happening, if it is happening. Know what you're buying. It's not a quick fix, it's not as automated as it claims, nor does it offer an exhaustive look at all citations associated with a NAP profile -- that would be awesome. Instead, it's a good basic diagnostic tool to give you visibility into how your NAP info (or your client's) is displayed on some of the more influential citation sites. The promises of citation info on these aggregator sites' getting picked up and distributed out into the web at this point feels a bit overblown or at a minimum unproven by the product. I hoped to generate a critical mass of correct citations for my clients and correct duplicate and inaccurate NAP info automatically. I'm now seeing that this is not a realistic unless Moz' business partner relationships get a lot tighter, allowing Moz Local to edit content on business partner sites across the board. "Small Businesses - This is for you!" Moz Local is great because it simplifies something that is not necessarily easy or easily accessible for small business owners looking to increase their local presence. The tools that Moz Local provides are user friendly and really make the process of submitting your business to local directories quick and easy. The platform could be more transparent as far as exactly what directories your business is submitted to, but other than that it is a great platform! Read up on the product and how it works before utilizing. While it is an incredible tool, it's important to have a mild understanding of exactly what Moz Local provides and how transparent it is with it's directory submissions. If a business is looking for complete transparency of individual listings, I don't know if this product is at the right stage yet for their needs. Getting the correct information out there and correcting any stale information about your business is crucial for local SEO and Moz makes it very easy to do so. "MOZ Local - Fast, thorough & convenient"
Moz Local is a very cost effective way for businesses to perform their local SEO and keep their listings current and synchronized. We have recommended it to hundreds of clients and it's been very well received. Compared to the alternatives or manually submitting to local directories, Moz Local provides an excellent service. The only downside is that some clients have a little trouble understanding how to properly format their business information. With a little coaching, that's easily overcome. While we do manage the process for some of our clients, many of them prefer to do their Moz Local work on their own. With a small amount of training, it's very easy to use. Very reasonably priced for the value provided. Much easier than trying to do all the functions manually. Moz Local monitors the profiles and alerts you to any changes, which is extremely helpful and allowed us to catch quite a few potential issues and fix them before they impacted the search results. Local SEO, Local directory synchronization. It is a very quick and inexpensive way to ensure the correct information about your business is being fed to the major data aggregators. I don't dislike anything about it per se. I think it's great for what it is and a great value. Using a manual submission service like Whitespark has advantages. Using Yext has other advantages. Both are significantly more expensive. So it depends what your needs and budget are. Moz Local is a great option for many businesses. It is a good tool to use as part of a larger local SEO strategy. It is most effective for small businesses with a physical location. Ensuring consistent NAP info on local directories and review sites. I use it as a backup to Yext. If you ever cancel Yext the listings could be reverted to a previous state. By using Moz Local in tandem I ensure the short term benefits of Yext while also making sure the major data aggregators have the correct data. "Bet Customer Service on the Planet"
Their customer service folks answer questions fast, friendly, thoughtfully and dare I say, with a sense of humor. I am not just talking about one person but I have communicated with at least 5 different people over there and they are all customer service wizards. The contact support balloon is at the bottom right on almost every screen so they are easy to reach. This link also brings up all your previous inquiries so you don't have to search your email for the answers, they are all right there. And I love all the free tools they offer like the Open Site Explorer. You can out a lot about your site and your competitors. The Moz Bar for Firefox is great too. I constantly have detailed info on hand for every search I do. Not only do I use it for SEO, it helps me in my personal choices in choosing a search result. I moved my business to a new city and we all know how painful updating your web presence can be. I wanted help deciding on whether to combine the two listings and shuttering the old one, or keeping both. They helped me make decisions about how to go about it and now for a mere pittance they are doing it for me. "Does it Really Improve Ranking"
I have a client whom I signed up with Moz Local last year. I'd never tried it myself but the buzz of the industry was that it was a reputable service and should help rankings... but like a lot of these things it's really hard to measure. So while I set it up everything seemed to be fine but as I was performing other SEO tactics it was hard to measure if it was Moz Local or many of the other methods I was using... or most likely a combination of both. Well a couple months ago I notified the client that his Moz Local subscription was lapsing and asked if he wanted to renew. He never got back to me about that and I've noticed his website has dipped a full page sense the lapse... as it has remained in the exact same spot for over 7 months I can only conclude that this was due to Moz Local. I didn't care for the rate hike... I mean it's an annual subscription after all. Saving Time. I used to perform directory submissions manually... but it takes a lot of time. "Love Moz Local - Affordable, Accurate and Effective"
Moz Local utilizes the most important directories for citation inclusion. They are one of the most affordable options on the market. If you are doing organic optimization, it's perfect, because you are likely using the Moz platform already and it is a natural extension of your work in your own company or for clients. I don't dislike anything about it. It doesn't include deep insights and tracking engagement without paying extra, but even that extra cost is more affordable than other solutions. It would be nice if this was included in the base price, but I would probably be dreaming if it did. If you are a business that relies on local data to help and attract customers this is a must! The cost is low enough that you can't afford not to try it. I guarantee to you that it will help with your visibility online. If you are doing this manually, the product will save you time, by allowing all changes & updates to take place in a single interface. No logging into to 15+ different directory accounts. This ensures consistency across the web for your businesses core information: name, address, phone, services, images, logo, etc. This will feed services that utilize local data such as maps, apps and the search engines. People will find your business more often and it makes it easier for them to get info from you, call you, etc. "Good experience, easy to use"
The fact that they disseminate the information to all the major and many minor data centers that then send your business information all over the Internet. It is impossible to check each and every one of your listings. Moz Local makes it a much more streamlined process. The time it takes for the information to trickle down. Also, if there is conflicting information more than 2 tiers or so down, the information you enter into Moz Local isn't always the information that is prioritized. Realize that results are NOT instantaneous. Also, you do need to put work into it to make sure your information is correct. You may also need to correct information, but Moz Local will show you how complete/accurate your listing is for several different networks. SEO, consistent listings, and disseminating business information across Internet. For the most part, this has happened. However, there have been some glitches. Moz Local's support was only so-so. "MOZ Local is the quickest, simplest, cheapest, and most effective way of improving local SEO"
MOZ Local allows you to access each of the data aggregators via a single application, meaning you bypass additional fees and ensure all information is synonymous across the internet. This process alone will significantly improve local search engine optimization by improving NAP consistency. MOZ Local is also the cheapest option available online and has a sleek user-friendly interface. 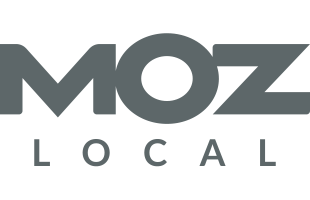 I've already referred dozens of our clients to MOZ Local. The process they have available to remedy duplicate listings could use some improvement. There was also an issue with MOZ Local syncing with Acxiom that took a couple times on customer support to fix. If you're looking for ways to improve your online visibility and reputation, especially those businesses operating locally, MOZ local is the single most important tool you can use. We use MOZ Local to help push out our business information to hundreds of online directories, as well as clean up inconsistencies in the data. This helps our visibility and reputation online. "The best place to get your citations addressed with the major aggregators"
Moz Local is by far the most effective way (both time and money) to get your citations cleaned up with the major aggregators - InfoGroup, Acxiom, Factual and Localeze. The time and effort to go after those 4 directly isn't worth it - just pay Moz and let them do the work. It's harder than it looks! What they are doing is not easy, but citation reports are not always accurate, and some sights become unreachable for unknown reasons. I wouldn't simply "trust" their data/numbers, when you dig in, some of the things they are reporting are not correct. Absolutely give it a try. The cost of entry is low relative to the value. We offer a service that allows VSB's (very small businesses) to be more authoritative online. One of the first things in this area is to have clean citations. We believe that fixing you citations with the major aggregators and highest trafficked directory sites is job 1 - and Moz does that better than anybody and at a fair price. The other options focus on mostly irrelevant directory sites that don't matter much. I love the MOZ Local is both effective and easy to use! As an agency that manages a wide range of clients' search engine marketing, I needed a tool that would work for me. MOZ Local does just that. I simply input client data into the easy online form one time, and within 15 minutes or less my job is done. MOZ Local then takes the data and submits it to over 50 relevant data aggregators. We have directly seen the impact that these back links has had on our sites' through analytic refer data. I couldn't ask for an easier tool that has had a positive impact on our websites. Thanks MOZ! I wish there was even less involvement on my part. I have found that when there are duplicate listings on some of the sites, that you need to manually verify and sometimes even call the third party site to get the problem resolved. Because I am an agency, the third party sometimes gives me a hard time for trying to manage the profile because it is not my company. If there was a way that we could give MOZ control or the authority to handle these cases it would be so convenient. It would also be nice if we could select an industry and get a list of all the sites that our data has been picked up on rather than just seeing the 5 data aggregators in your dashboard. Clients sometimes ask "What sites am I on?" If your business does not have a physical address or you work out of your home and do not want the home address listed on Google, then do not sign up for MOZ Local. I did this by accident with a client who builds fences for people (MOZ will let you set it up and pay) but then it will prompt you that the business does not have a physical location in Google and because your data is already submitted to MOZ Local (charges have occurred) there is nothing you can do. You will be out your $84. As I stated before we are already seeing the benefits of unified company information throughout the web and directly in our analytic's refer data. We are saving time and money by submitting to MOZ local and letting them do all the work for us. "Has Increased Our Local Visibility - Ten Fold"
The easy to use dashboard and the organization were big things for my company when we decided to use Moz Local for our maintenance company. Also, doing all the mundane citation work and submissions were a plus and allowed us to free up time that our staff needed elsewhere. It may be a little confusing to someone who isn't familiar with SEO and marketing dashboards. My recommendation would be to spend some time getting to know the dashboard before jumping all in. This will give you some ease of use once you have purchased the software. Knowing the various features and components will also help you be successful when deploying it for your company, or if you work for an agency, then for all of your current and future clients. We are solving the verification issue a lot of businesses have with their local citation listings. A lot of businesses have no idea if they have any listings, or if they are correct. Moz does a great job of keeping your listings consistent and updated. "Great for occasional Updates of your information"
If you haven't updated your online information, it's a great tool to streamline your online presence. If you have already run thru it once or twice with others, it's good to double check your online presence for consistency. Yearly subscriptions for stable companies seem unnecessary unless you change phone numbers, web sites or location. I don't know if I noticed any significant web tracffic increase, as I have been focused on Google reviews as of late. The biggest thing I focus on are increased reviews. We monitor those directly and address them accordingly. "Local Citations the Right Way"
I love how simple it has been helping multiple businesses easily increase their local citations. It's very easy to see errors in existing citations and make corrections. Not a whole lot to dislike about a service that automates a huge process. If you have a small business and you want to increase your local SEO; Local Moz is the way to do it quickly and efficiently without requiring thousands of dollars spent to a local citation service. This is a great product that you can do yourself. And the price is top notch for what you get. For a local business the few dollars that it costs per year this is a must have. Using Moz Local saves me dozens of hours of work creating or fixing local directory citations for small business clients that I work with. It's a simple process and their system works quickly and diligently. One client recently moved offices and instead of chaining our info across hundreds of websites, all I had to do was update the address in Moz Local and the update was carried out to those websites swiftly. "Simple to use and effective tool to help local businesses stay on top of listings." Moz is an easy to use interface and it seems to stay up to date. I had a client change a phone number and within a few minutes Moz notified me of the changed and I login and changed it across all the listings. It is easy to update and the reporting is valuable to show clients. I would like to see the tool have more listings than the ones they currently interact with now. Meaning there are a lot of other listings like showmelocal and other web properties they could write a script to and update to add value to the tool. Just get started ask questions and read the support articles. It is a community and the tools are amazing. If you need help ask. As an online marketer it is important to keep lots of listings on multiple web sites up to date with the business basic information. This helps with leads and rankings. We also use this service and we bill our clients for keeping these listings up to date and accurate. "Save time and get a comprehensive overview"
Moz Local doesn't do anything you couldn't do manually, but it saves you hours and stress and is worth the investment. With a few keystrokes you get a comprehensive overview of how your clients appear on local listings like Google Local, Bing, Yellow Pages and more. For companies who need to show up in their community, a consistent listing on all sites is a big factor in local SEO. If this is you, you should use Moz Local. If you have multiple URL's, you should use Moz Local. If you don't, feel free to ignore. Moz Local doesn't provide anything you can't do on your own, so it feels painful paying for it, but your time is probably worth more than Moz's low price. Search Moz Local (for free) to see how you show up on local listing and then decide if you need the tool. Local SEO is different than general SEO. A consistent local listing is a factor in showing up in your community. Moz Local helps you check if there are discrepancies and update them quickly. "Huge Time Saver, Delivers on its Promise"
One-stop shop to submit a local organization to all search engines. Saved me hours of time. Has been a bit buggy historically. Some search engines have info fields that others do not, and Moz Local wouldn't always fill in the unique fields. It's not perfect, but it will save you hours of your time. Helping ensure that regardless of the search engine being used, a user will easily be able to find the phone number, address, and other basic info about the business I was promoting. "Excellent Tool for Getting Local Search Listings in Order"
Easy to use dashboard with simple setup. Easy to maintain and make changes to listings. Huge cost savings over individually maintaining listings. Limited number of databases it contributes to. Need to have verified Facebook and Google listings already. Duplicates can be difficult to resolve sometimes. Product occasionally misidentifies companies, and sometimes takes a long time to update databases. Make sure to have verified Google and Facebook listings, otherwise the tool is nearly useless. This can sometimes be a major hiccup and cause a lot of delays when working with an external client. As a marketing company, we need to be able to get our small and medium sized business clients listed in the major online directories. This product saves us tons of time and money, gets our clients where they need to be found, and lets us easily manage their listings while generating additional revenue. I appreciate the ability to add and update information for our clients in a one-stop-shop kind of way. I dislike the setup of putting in the essential information first, then buying the package, and then having to go back in and edit the profile to add all the actual business information. I wish I could just do it all at one time before buying. We are solving efficiency in pushing out consistent information for our clients across the board with minimal work. * We monitor all Moz Local reviews to prevent fraudulent reviews and keep review quality high. We do not post reviews by company employees or direct competitors. Validated reviews require the user to submit a screenshot of the product containing their user ID, in order to verify a user is an actual user of the product. Hi there! Are you looking to implement a solution like Moz Local?